Why do we know the Confederate battle flag and not the Confederate truce flag? 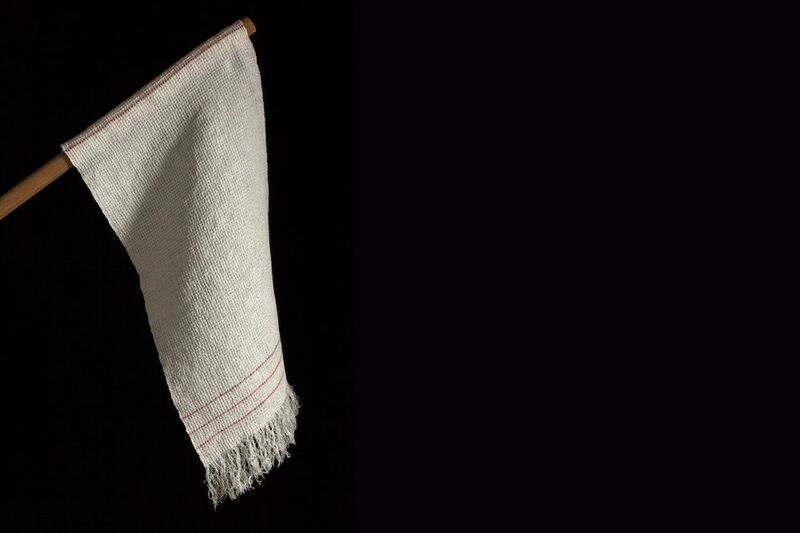 In Sonya Clark’s exhibition the Monumental Cloth, the Flag We Should Know, on view at Philadelphia’s Fabric Workshop and Museum until 4 August, the African-American artist aims to elevate the truce flag—a repurposed white linen towel with three thin red stripes—that ended the Civil War in 1865 and explore the pervasive symbolism of the Confederacy. 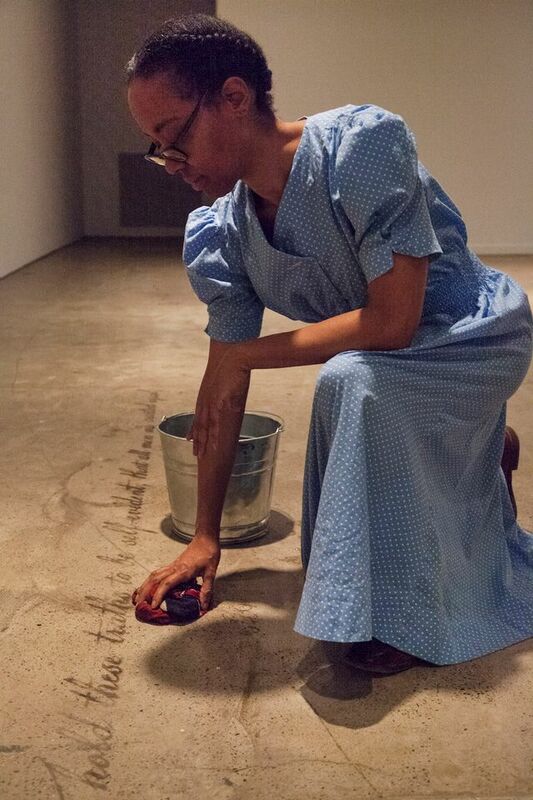 Dressed as Ella Watson, the African-American cleaning woman pictured in Gordon Parks’ 1942 photograph American Gothic, Clark opened the exhibition on Saturday (30 March) with a performance called Reversals where she cleaned a dusty concrete floor with a commercially available dishcloth printed with the Confederate battle flag. As Clark wiped away the dust, she revealed snippets of text from the Declaration of Independence etched on the concrete. And each time the artist moved to another spot with her bucket, she would go down on one knee as a reference to the football player and Black Lives Matter activist Colin Kaepernick. The 20-minute piece was recorded and is now on view in the exhibition. The exhibition also includes a space filled with looms, where stand-by instructors will guide visitors on how to weave a truce flag similar to the one waved by the Confederate general Robert Lee to announce the surrender of the Confederate forces. Another gallery has similar truce flags made by volunteers, as well as one wall painted in a locally-sourced hue called “Confederate Red”.